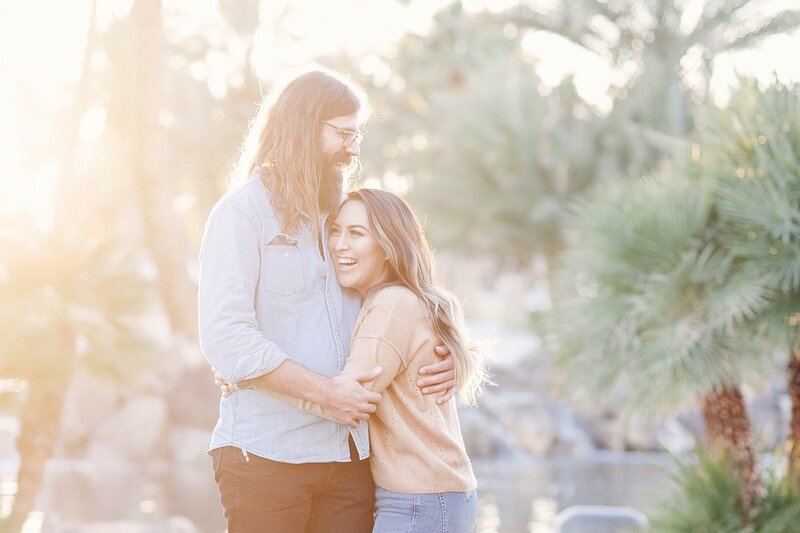 Sam and Tony live in Southern California but have decided to have a Las Vegas destination wedding this summer at the beautiful Cili Restaurant at Bali Hai Golf Club. 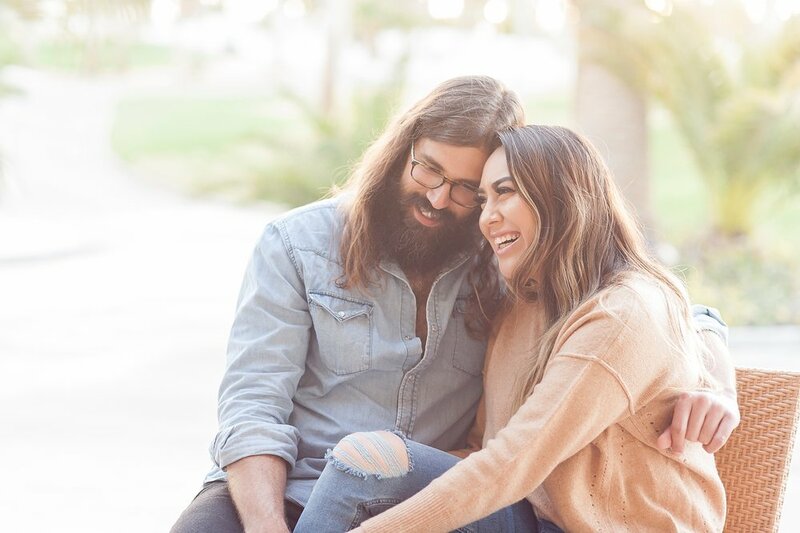 They were recently in town to finalize the wedding day details and it was the perfect time for us to meet up in person and snap a few photos of them too! 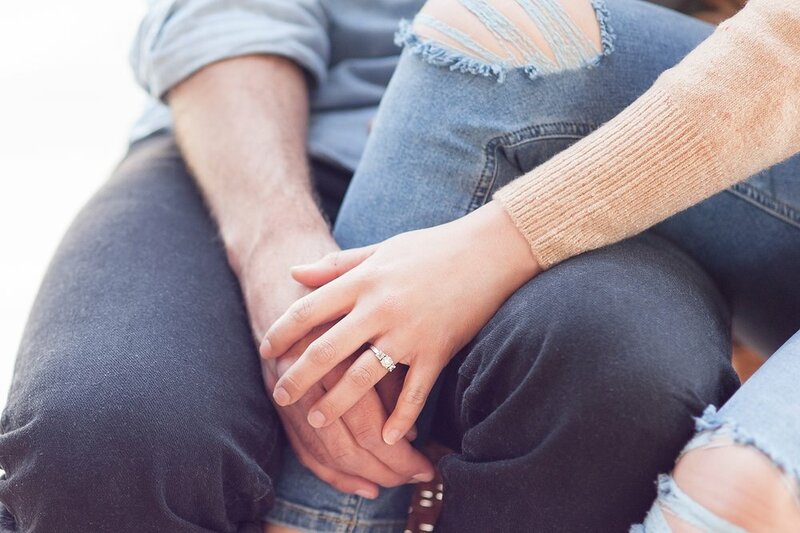 Engagement sessions are the best! They allow you to get to see what it's like to work with us. It's a lot of fun, I promise ;) Plus, we also get to know how you interact with each other and allows you to get comfortable in front of the camera. And of course, you get some gorgeous photos of the two of you!! It's a win-win for sure! 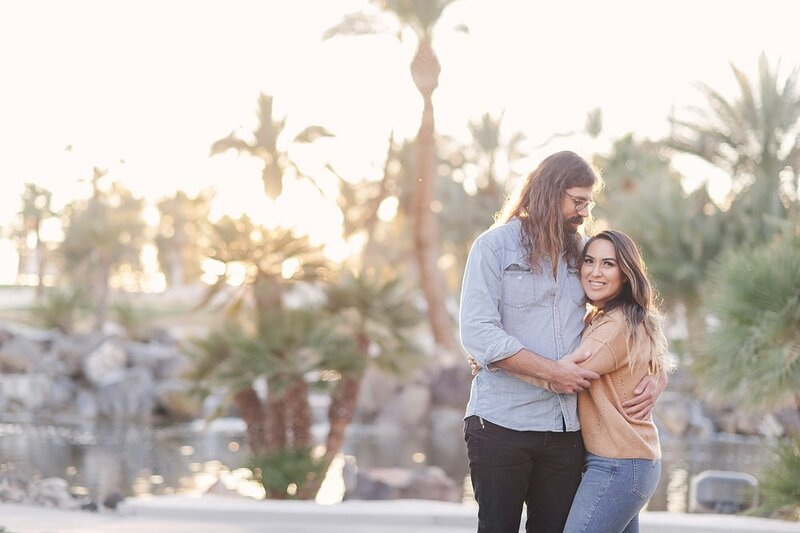 Lana and Steve were visiting from Toronto, Canada recently and decided to have their engagement photos done while in Las Vegas. 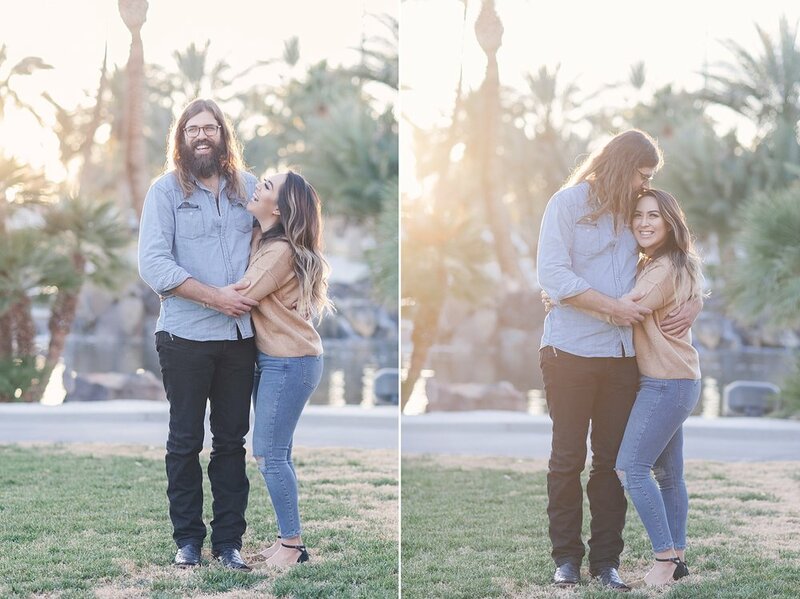 They love visiting Vegas and thought it would be the perfect place to have some fun photos of them together. We couldn't agree more! Having photos in one of your favorite cities, with your favorite person, well we just love that! Most people aren't used to being photographed and can feel nervous or silly in front of the camera. We totally get it! We make sure we keep things fun and relaxed during our sessions. We talk and interact with you, we strive to get to know you and take away those fears. 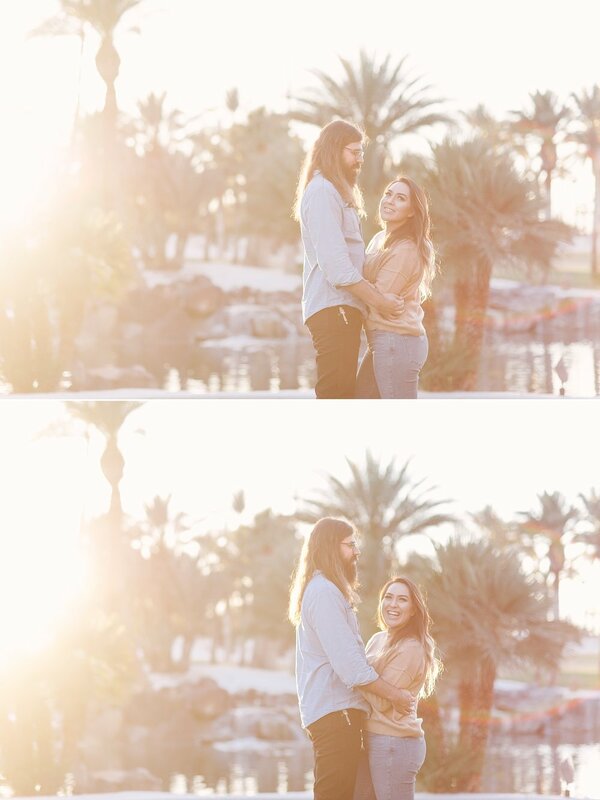 In the end, our goal is to capture some amazing photos of the two of you together, in love, and being yourselves! These are the images that will be cherished and shared forever! Like most couples, Lana and Steve were a bit nervous about having their photos taken. But, we quickly found some fun things to talk about, specifically good food and places to eat, the nerves faded, and we had a great time! We started off at the southend of the strip for some iconic Vegas photos with Lana and Steve dressed up for a night on the town. 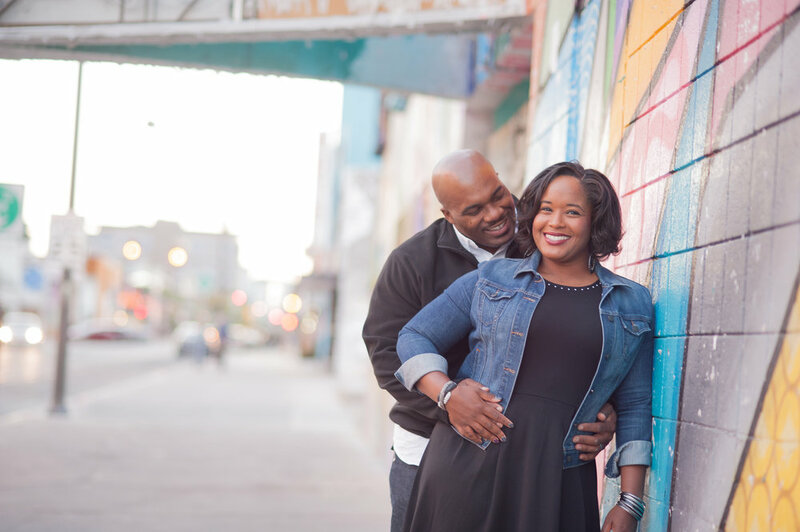 We ended the session in the downtown Arts District, with it's cool graffiti murals, and Lana and Steve changed into casual outfits for a more relaxed and urban vibe. I think they turned out perfectly!